Image retention ("Burn in") is one of the major drawbacks of OLED displays, and a static icon or very consistent displays are always a problem with such displays. 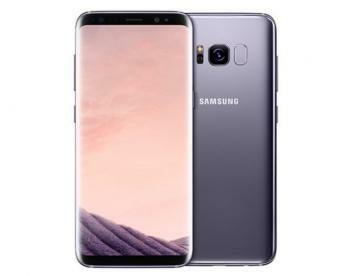 When Samsung introduced the Galaxy S8 it implemented a soft home button, which caused some concerns. PhoneArena confirm that Samsung's home button actually moves around by a few pixels from time to time - obviously to prevent serious image retention. Samsung employed the same trick with its "always on" clock display in previous OLED phones. This is a good way to improve image retention - although it won't solve the problem completely as the icon only moves around by a few pixels each time. I myself have a Google Pixel smartphone (5" FHD AMOLED) which also uses soft home and other buttons on the lower part of the display. I'm not sure whether these buttons move around or not, but I can say that after half a year there's no visible image retention at all in that area of the screen. Image retention is NOT burn in! Burn-in is a process going on continuously for any OLED element emitting light. Image retention is one of its possible results.